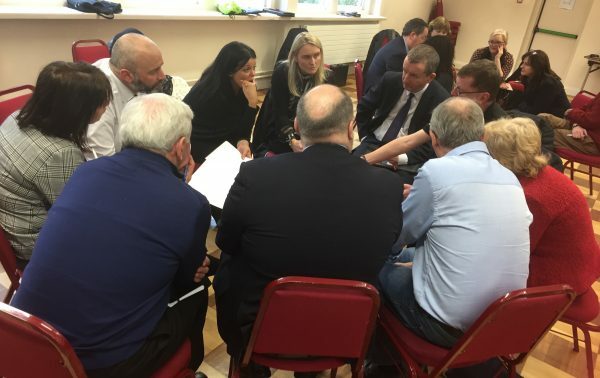 Tom and Ann were at the EREBB Gathering in Emmaus, Dublin on 18th January where we heard from Synge Street Dublin and Abbey Grammar, Newry about the fantastic impact that the Edmund rice Network and especially EREBB are having in their schools. We also focussed on advocacy where Ardscoil Ris and na Mara are making great strides with student social justice and advocacy in their schools. They gave some great examples of how to practically run and set up advocacy groups. We were responsible for looking at future collaborations and centred on 4 key areas: Communication, International links and Immersion, Alumni and In-service training and Resources. feedback was gathered and when the European Leadership team meets in February, taking these areas forward will be agenda items. We are so lucky to belong to this great and distinctive Catholic network and we need to keep working together forging these links and supporting one another in our mission in all our schools to further enrich the Charism of Blessed Edmund.